My goal is to create a valuable experience for our Residential Property Management Entrepreneur listeners, providing the best tools, resources, & ideas in residential property management and tips to help them weather the challenges of being an entrepreneur/small-business-owner. Our clients/listeners manage rental properties on behalf of the homeowners. Usually their portfolio is largely made up of single-family homes. So they are targeting homeowners or real estate investors that are tired of acting as the landlord. They do property marketing, tenant screening & placement, rent collection, property inspections & maintenance. Residential Property Management Entrepreneurs' biggest challenge usually is growing their business. This usually means lead generation, marketing, prospecting, sales, etc. Other challenges include streamlining operations and reducing costs/overhead, staffing, & anything else small business owners or entrepreneurs typically deal with. The interview will be conversational & fun. Jason will just talk with you and ask questions. Live Interview - This will be done on video so you will need a Webcam and a headset or headphones). We will use Crowdcast.io to do the interview & it will be recorded. Crowdcast lets you test your camera & audio before being seen by anyone. We will also do a greenroom before we go live. The interview questions/flow for your preparation is below on the page. From our experience of working with other podcast producers, the KEY to a great interview is the REAL LIFE STORIES. Thank you again for “giving back” and serving in a greater capacity. Do you have a cool service or tool that can help property managers improve their business, save time & money, or automate processes? Do you have a unique idea, process, niche topic that could benefit entrepreneurs, help them lower stress, increase productivity, or improve sales? Or are you an expert in the real estate industry? Are you a property management entrepreneur with a unique story, method, system, idea for growing or improving a PM business? General Entrepreneur Coaches (niche-focused coaches are probably more relevant). Example Vendor Interview Flow - 10-30 min. Introduction. Tell us about you. I will ask you to elaborate on your introduction. Tell us about you the person and you the entrepreneur. We want to know you as a PERSON first, and then as an ENTREPRENEUR providing a service or tool. What problem or challenge did you see that prompted you to create this [business, tool, service, book, etc.] and the backstory of how and why it was created, what problem it solves, results it helps achieve, benefits. Can you share an example/story of how this benefitted one of your customers? What are the most common questions property managers ask or might have concerning your tool, service, book, etc? I may ask questions I think my clients might want me to ask. In some instances, I may set up an "ask campaign" via email to collect questions in advance. We love to benefit our DoorGrowHackers, Do you have a special offer or promotion for those listening? How can they learn more/connect/etc? I will ask you to elaborate on your introduction. Tell us about you the person and you the entrepreneur. We want to know you as a PERSON first, and then as an ENTREPRENEUR. Tell us about your business, tool, service, book, etc. & what problem it solves, results it helps achieve, benefits. What do you feel prevents business owners from growing, winning, reaching their potential? Original Guest Quote or Affirmation or derivative of favourite success quote. It’s meaning to you. How do you apply it to your life? 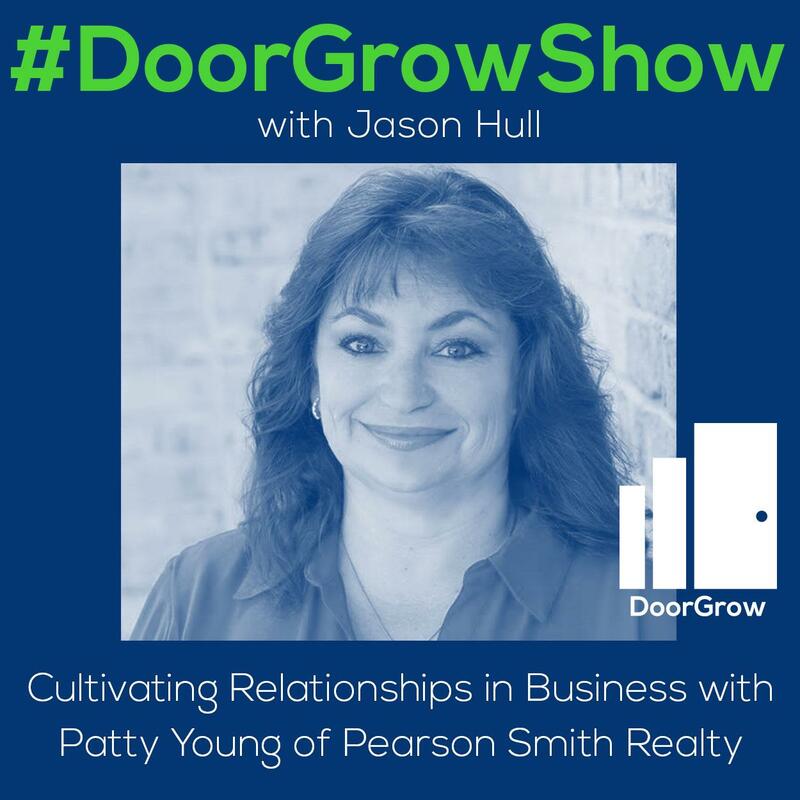 The #DoorGrowShow is all about helping Property Management Entrepreneurs Grow. We believe that as Entrepreneurs we are all more alike than we are different. What KEY procedure/system/marketing strategy could you simply not live without? Back to the FUTURE: If we could go back in time, knowing what you now know, having the life and practice experiences you have…what would you tell your younger self? 1. Best advice you have ever received? We need a nice photo of your face so we can promote you. Choose something recent. Tell us a bit about yourself so we know how to introduce & promote you properly! Please provide your brand's logo & anything else you think is relevant. Please provide a Headshot Photo, Logo File (preferably a vector), Bio, and anything else that might be relevant to the interview. Accepted file types: jpg, gif, png, jpeg, svg, eps, pdf, docx, doc, rtf, txt, psd, ai.